Every time you say yes, you give away a piece of yourself. It’s a commitment of time, energy, brainpower and bandwidth. If you are operating at full capacity, there is little margin for error. When you experience a spike in demand, something must inevitably drop off the list. For someone who is a YES-aholic, prone to taking on new commitments, the aspect of reneging can be particularly painful. Instead of one big up-front no, there can be a recurring chain of NO, SORRY, SOMETHING HAS COME UP, I’LL TRY AND FIND SOMEONE TO STEP IN. Or…you get into a vicious cycle of multi-tasking, rushing, lateness, splintered effort and having less of an impact than what you originally intended. To succeed in any endeavor, it’s critical to be focused on what counts. If you are fragmented with a crazy quilt of commitments and activities, the distractions can impede the achievement of the goal, not to mention quality-of-life along the way. It’s about setting boundaries, as Sheryl Sandberg recommends in her best-selling book Lean In. Here is a 12-step roster of remedies to give you some relief, courtesy of the Changeometer ™ decisionmaking tool. Don’t worry, there is no To Do list. More of a Not To Do list. 1. Clear the decks! Have you recently undertaken something significant in your life? Perhaps a new job. A relocation. Or a new baby. Congratulations, you’re in a mission-critical ramp-up. Quick! Step away from recurring commitments, old habits and routines. Re-set expectations of family and outside organizations. Give yourself at least a year to navigate the newness. 2. Goodbye work/life balance. Hello ebb-and-flow. Balance infers something calm, peaceful and predictable. A wonderful ideal — but real life today is messy and sporadic. Maybe better to plan for the crazy, high-demand times, then scale back and celebrate when the onslaught subsides. 3. Forget complex time management techniques. Why spend time learning how to manage what might be an erroneous excess of action items? It’s a fast-changing world. What was relevant two years or two months ago may not be pertinent today. Take inventory, evaluate and purge! Like cleaning out your closet or garage, there is stuff you can get rid of. 4. It’s complicated. 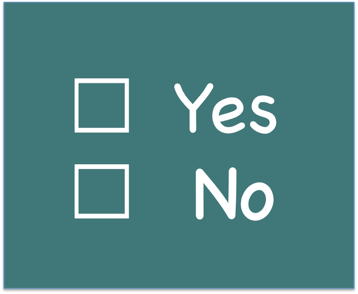 Saying yes 5, 10 or 15 years ago entailed much less of an obligation than today. Organizations of every ilk and purpose are under much more pressure from an economic as well as human capital standpoint. More demand. Fewer resources. Intense competition. Thus serving on a committee or board is more stressful and time-consuming. It’s not that you are any less capable or competent. Just a higher level of neediness at every turn. 5. Fresh approach to commitments. A officer-level slot in an industry, school or community group can involve monthly responsibilities for at least a year. Board positions can be open-ended. An option is to look for high-value projects where you can plan ahead according to your schedule, deliver a big hit and — boom! — be in and out in a defined, short-term period of time. 6. Your life as a media channel. A master schedule board fills the wall in every program executive’s office. Think of your life in the same way. You can’t add on-air hours to a finite 24/7 grid. But you can move things around. Make the most of prime time periods. Test new concepts. Mix it up in the new season. 7. Create a Zone of Serenity™. No matter how busy you are, find a sliver in your week that you can protect and savor. Be vigilant in reserving it for your purpose. Something dedicated to your significant other, family or friends. A quiet retreat for you. Do not incorporate other programming. Differentiate it from other time slots on the calendar. 8. GatorRassling GroundRule™ . If an interaction becomes frustrating and painful, give yourself permission to resign immediately (“I so enjoyed serving on the XYZ committee, but feel it is now time to offer someone else the opportunity…”). If it’s a boss, client — or even a demanding family member — create boundaries and keep it away from your Zone of Serenity. No emails, phone calls or action items on Saturday night, as an example. 9. Everyone needs a tribe. When aligning with a group, look for multiple benefits that can accrue for the effort expended. For professional organizations, play at the highest level possible to expand your range of relationships. Seek the company of like-minded individuals that can result in new business, friendships and social circles. Commit! Be active and engaged. Take on a leadership role. You don’t have to be involved in ten groups. If you identify the right one or two, you can enjoy a lot of value and satisfaction. 10. Tune out peer pressure. It’s a form of adult bullying. Be true to your own ideals. 11. Outsource process, not interaction. A comedy legend broke the gender barrier in the stand-up world. To manage family and a demanding career, she had a retinue of helpers for household, travel and logistics. But she personally handled all of her correspondence, fan mail and booking requests, identifying a unique add-on path as a concert pianist with symphony orchestras — something her Hollywood agent might have overlooked. Delegate mundane chores and focus on what can really make a difference. 12. Thank you for asking. Develop a predisposition to saying no. Master an approach that fits your personal style. Give yourself time to evaluate the request. Be confident and comfortable in your right to decline or delay. Be polite, but firm. If you keep saying yes, yes, yes, you are enabling others to be strategic at the expense of what is meaningful to you and the vision you have defined. Nancy Keene is founder of The Perfect Fit consultancy and blog. She is a keynote speaker, work/life strategist and developer of the Changeometer ™— a dynamic decisionmaking and productivity tool. She has a cross-industry perspective — based on her experience solving problems and capturing opportunities for clients from venture capital-backed start-ups to the Fortune 500. She has served as regional director for PricewaterhouseCoopers; director of the global executive search firm Stanton Chase; and vice president of a Dallas advertising agency, where she built one of the first technology marketing resources in the Southwest. 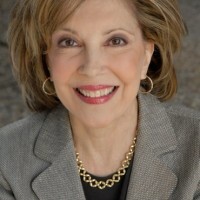 Nancy is a frequently-quoted resource on talent and management topics in The Wall Street Journal, Forbes, Fortune, FoxNews.com, CNBC.com and other media outlets. She is a graduate of Indiana University of Pa. and a member of the Texas Women Ventures Board of Advisors.